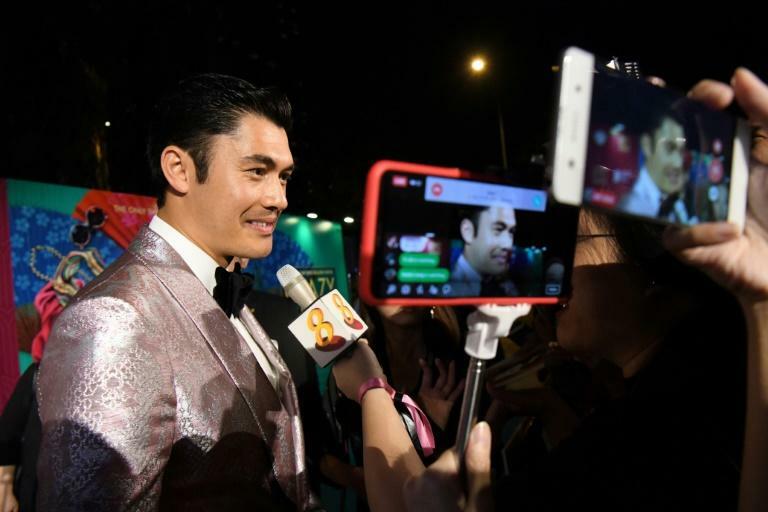 "Crazy Rich Asians" has been hailed as a win for diversity in Hollywood and sparked controversy in Singapore for its portrayal of the city-state -- but in much of Asia the movie is being greeted with little more than a shrug. The first Tinseltown film to feature a majority-Asian cast for a generation, the adaption of author Kevin Kwan's bestseller about Singapore's ultra-rich Chinese elite has soared to the top of the North American box office. 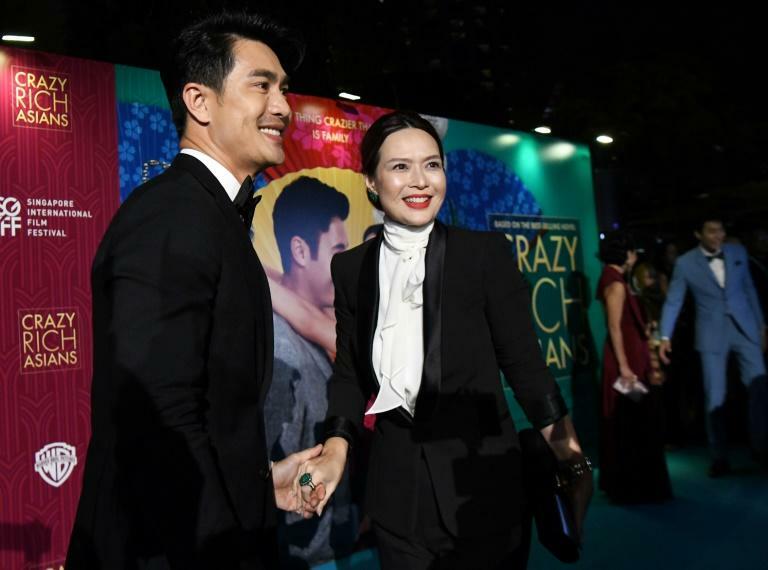 The rom-com, which tells the Cinderella-like story of an ordinary Asian-American woman and her super-rich boyfriend, will likely do well in parts of Asia when it is released this week. But it is not generating the same level of excitement as in Hollywood, where the Asian-American community has long been marginalised, and many in the region may well be wondering what all the fuss is about. "Asians have been seeing themselves on screen in their own domestic films since cinema began," Maggie Lee, chief Asia film critic for Variety, told AFP. Still, those that watch the movie are likely to enjoy the film for what it is -- an entertaining rom-com -- and recognise the Hollywood hype is something particularly related to the Asian-American experience, she added. A two-hour celebration of fabulous wealth, stunning clothes and idealised love, the movie's main character is economics professor Rachel Chu -- played by American actress Constance Wu -- who flies to Singapore for a break with her lecturer boyfriend Nick Young. It is only in the affluent city-state that Rachel realises the man she has been dating for a year, played by British-Malaysian actor Henry Golding, is the scion to one of Asia's wealthiest families. Dazzling jewels, private jets and an imperious mother are all thrown into the mix, as Rachel seeks to navigate the world of Singapore's super-wealthy. The first Hollywood production since the "Joy Luck Club" in 1993 to have a majority-Asian cast, the movie has generated frenzied publicity in the US and has generally been well reviewed. Asians have often been relegated to sidekick roles in Hollywood in recent times while there have also been much-criticised attempts at "yellowface" casting, when white actors attempt to make themselves look Asian. This was the case when Scarlett Johansson was cast in the Hollywood remake of Japanese anime classic "Ghost in the Shell". Other Hollywood productions, such as "The Great Wall" set in China and "The Best Exotic Marigold Hotel" in India, have been criticised for drafting in a major white star to play the lead role or their cliche-filled representations of Asia. In Singapore, where much of the film's action takes place, there has predictably been considerable buzz, with many curious to see how local culture is depicted and happy that their tiny country is starring in a Hollywood hit. But some have been angered about how the film focuses primarily on the country's ethnic Chinese, who make up about three-quarters of the city-state's inhabitants. The country of 5.6 million, where the film is released Wednesday, is also home to substantial ethnic Indian and Muslim Malay minorities, as well as large numbers of expatriates. Singapore activist Kirsten Han has been strident in her criticism, writing that the movie "isn't really a win for diverse representation. "What I would like to see as a Singaporean is something that reflects my country and society in all our diversity and complexity," she said. In other parts of Asia, the reception is likely to be much more muted, with a Hollywood production offering little real competition to booming domestic entertainment industries, from Bollywood and Korean movies to Chinese soap opera. Even in Singapore, many accepted the film was meant to be light entertainment, rather than an attempt to accurately depict the city-state's society. "People, it's just a movie," said one Facebook post under an article on the website of broadcaster Channel NewsAsia discussing the portrayal of Singapore in the film.